Grasping Uncle Ho’s teachings: “Ours is a ruling party. Every party member and cadre must be imbued with revolutionary morality, being really industrious, thrifty, honest, righteous, and public-minded, preserving the absolute purity of our Party, and deserving to be leaders and loyal servant of the people”, the 1st Military Region’s Party Executive Committee has determined: building strong Party Committee politically, ideologically, organizationally and morally serves as a determinant to the Military Region’s improved synergy and combat strength. Stationed in the strategic area of North Vietnam, over the past years, the 1st Military Region’s Party Committee has adopted proper measures to lead the Military Region’s armed forces to successfully fulfil tasks, contributing to safeguarding national independence, sovereignty, unification and territorial integrity. That outcome has been produced by the Military Region Party Committee’s successfully implementation of the work of building politically, ideologically, organizationally and morally strong Party Committee according to Ho Chi Minh’s thought. Annually, the Military Region Party Executive Committee directs party committees and organizations to grasp and stringently implement the Party’s resolutions, directives, regulations and guiding documents, especially those by the Central Military Commission, National Defence Ministry and General Political Department on Party building, as the basis for making programs, action plans, and measures to lead and direct the tasks. It is noted that the Military Region’s Party Committee has grasped and strictly implemented the Resolution of the Party Central Committee’s 4th Plenum (12th tenure) on Party building and rectification, with emphasis placed on overcoming weaknesses, in tandem with the implementation of the Politburo’s Directive 05-CT/TW (12th tenure), the Central Military Commission Standing Committee’s Directive 87-CT/QUTW on stepping up the study and following of Ho Chi Minh’s thought, morality, lifestyle, the Campaign “promoting tradition, devoting talent, deserving to be Uncle Ho’s soldiers” and the Politburo’s Resolution 51-NQ/TW (9th tenure). At the same time, it has increased inspection, supervision, management of party discipline, management and training of party members, while promoting the role of key cadres. As a result, leadership capacity and combativeness of all-level party committees and organizations; efficiency of the party and political work; role and responsibility of commissars, commanders, political offices and cadres as well as quality of cadres and party members within the Military Region Party’s Committee have unceasingly improved. There hasn’t been degradation in political ideology, morality and lifestyle, or signs of “self-evolution” and “self-transformation” within the Military Region’s Party Committee and armed forces. Currently, the task of the Military Region’s armed forces has witnessed developments including both advantages and challenges. Thus, the Military Region’s Party Executive Committee has determined to continue making the Party Committee pure, strong, and capable enough to lead its armed forces to fulfil the assigned task, via key measures as follows. First, further enhancing the work of propagation and education, strictly implementing higher echelons’ resolutions, directives, regulations and guiding documents, first and foremost those by the Central Military Commission and the General Political Department on Party building as well as the Resolution of the 14th Military Region Party Congress (2015-2020 tenure). 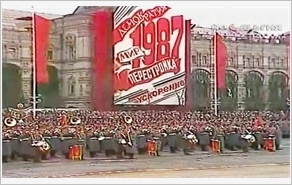 To that end, party committees, commissars, commanders at all levels have designed programs and plans in accordance with their function and tasks, with a focus on improving the quality of education of political theory and that of ideological information and orientation, while proactively preventing and combating to foil hostile forces’ “peaceful evolution” strategy and their tricks of “self-evolution” and “self-transformation”. Simultaneously, they have adopted groups of measures for implementing the Resolution of the Party Central Committee’s 4th Plenum on Party building and rectification in line with the Politburo’s Directive 05-CT/TW and the Central Military Commission Standing Committee’s Resolution 87-CT/QUTW. Importance has been attached to enhancing the work of inspection and supervision as well as self-criticism and criticism according to 27 manifestations of degradation, “self-evolution” and “self-transformation” mentioned in the Resolution of the Party Central Committee’s 4th Plenum. Moreover, due regard has been paid to renovating method and form of propagation and education and increasing dialogues to grasp and opportunely satisfy troops’ wishes and aspirations. Second, making a breakthrough in enhancing comprehensive leadership capability and combativeness of grass-roots party committees. Realities show that “For the sake of effective leadership, party committees must be really united, democratic and apply the principle of collective leadership and individual accountability”. Accordingly, consolidation of party committee must be in accordance with higher echelons’ rules and guidance, meeting the mission requirements of each type of offices and units (such as training and combat readiness; management of facilities, technical equipment and finance; local military offices; economic - defence units; schools, hospitals), ensuring quality and proper structure. The order and regulations of party committee’s meeting must be strictly maintained; while the regulations on operations and leadership, particularly for key tasks, should be built, supplemented and stringently implemented. Moreover, it is important to well manage relationships to achieve a sense of unity and unanimity within party committee, commanders and unit, and enhance leadership capability and combativeness of party committees and organizations. Third, renovating content, form, method to educate and manage party members. Accordingly, it is necessary to continue to grasp, build and fulfil party members’ criteria, promote model-setting role of party committee members and key cadres at all levels; to closely manage cadres and party members in politics, ideology, morality, lifestyle and social relationships; to strictly implement the Regulations 76-QĐ/TW on managing party members’ party meeting in their place of residence and the Regulations 47-QĐ/TW on party members’ don’ts. Moreover, it is important to comprehend and implement the guidelines, regulations and guidance of the Party, first and foremost the General Political Department on criteria and conditions for joining the Party and increase the work of internal political protection to avoid passivity, ensuring that 100% of party committees and organizations are politically pure. Raising awareness of cadres and party members should be associated with their function, tasks and authority. There should be measures to detect and opportunely rectify party members’ ideological deviation and disregard for the principle of democratic centralism, collective leadership and individual accountability. Party committee members, particularly secretaries (deputy secretaries) must regularly renovate their leadership style and method, and strictly comply with the Party Central Committee’s Secretariat’s Regulations 101-QĐ/TW and the Central Military Commission’s Regulations 646-QĐ/QUTW on role model-setting responsibility of cadres and party members. It is vital to carefully prepare draft resolution, promote collective knowledge, and heighten political responsibility to ensure the effectiveness of resolution. Fourth, successfully conducting the cadre work. The Military Region’s Party Executive Committee advocates that cadre work is the key to Party building. Thus, party committees and organizations should continue to grasp and implement the Law on Officers of the Vietnam People’s Army (supplemented and amended) and the Central Military Commission’s Resolution 769-NQ/QUTW on “building a pool of military cadres in the 2013-2020 period and beyond”, with a focus on building a contingent of “red” and “expert” cadres both qualitatively and quantitatively. Cadres and party members, especially key cadres at all levels, must have political willpower, absolute loyalty to the Party, Homeland and people; good political theoretical and all-round knowledge, particularly knowledge of military and defence tasks; good morality, democratic style, healthy, simple way of life; command, staff, operation capability; proactiveness and sharpness to detect and fight against hostile forces’ “peaceful evolution” strategy and their artifices of “self-evolution” and “self-transformation”. In addition to selecting and sending cadres to study at colleges inside and outside the Army, offices and units at all levels should further improve cadres’ professional, political, economic, cultural, social, legal, and computing knowledge as well as their foreign and ethic languages. Besides, it is necessary to proactively carry out the work of personnel planning, ensuring inheritance and steady development; to increase the work of managing and training cadres and party members as well as the work of cadre rotation among offices, units and schools; to closely assess and use cadres; to attach the building of cadres to that of party members and the building of key cadres to that of party committees. Fifth, increasing the work of inspection and supervision. This is among the key elements of Party building. During the course of implementation, it is vital to comply with the guideline: “supervision must be open, while inspection must be focalized”. Also, it is important to attach inspection and supervision of inferior party organizations to inspection and supervision of party committee members and key cadres; to resolutely fight against negative phenomena, violations of principles of Party organization and meeting as well as degradation in political ideology, morality and lifestyle among cadres and party members. Party committees should proactively develop plans for implementing the Party Central Committee’s Secretariat’s Regulations 109-QĐ/TW (12th tenure), dated January 3rd 2018, on party organizations’ work of inspecting cadres and party members’ self-improvement in ethics and lifestyle and the Politburo’s Regulations 102-QĐ/TW, dated December 7th 2017, on taking disciplinary action against party members for violating Party’s discipline. Successful implementation of the above-mentioned measures will contribute to making party organizations under the 1st Military Region’s Party Committee really “ethical” and “civilized” according to Ho Chi Minh’s thought, enhancing their leadership capability and combativeness, meeting the requirements of leading their units to successfully fulfil all the assigned tasks.